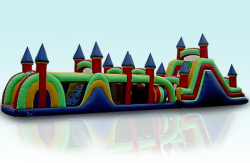 Add some friendly competition to your party or event with obstacle course rentals from CT Inflatables & Events in Manchester, CT. We have a variety of different inflatable courses that make choosing the right one for your event easy and fun. 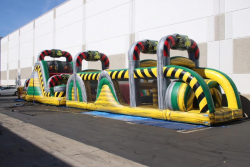 These are perfect for challenging your friends and family to a little friendly race. 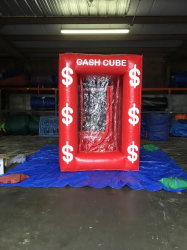 Kick off your shoes and get ready! 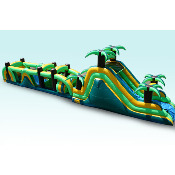 Race through all the inflatable obstacles that will have you jumping, ducking, climbing, crawling, crashing, sliding, and more. We love setting these giant courses up at parks where there is plenty of room. 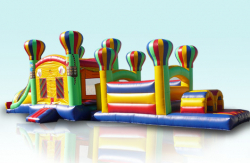 If the sun is heating your party up, just add a little water! 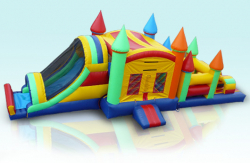 Click here to see our Waterslide Rentals.